Conspiracy theorists claim impossible knowledge, such as knowledge of the doings of a secret world government. Yet they accept this impossible knowledge as truth. In effect, conspiracy theories detach truth from knowledge. Knowledge without power is powerless. 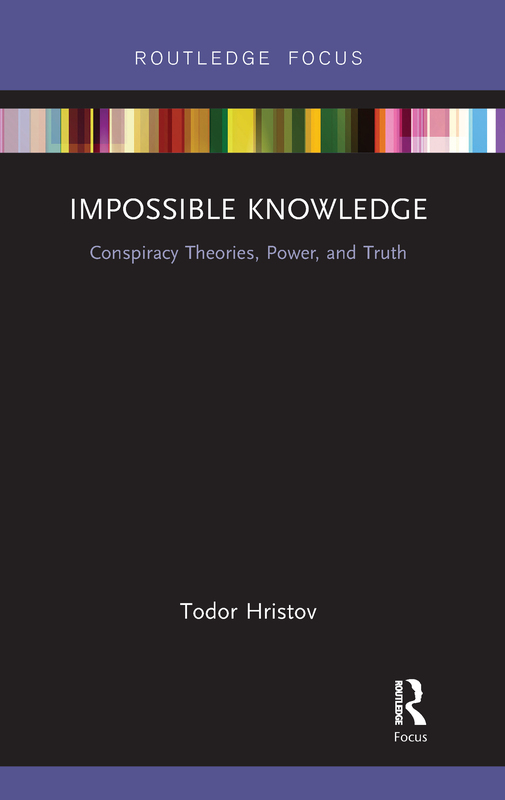 And the impossible knowledge claimed by conspiracy theorists is rigorously excluded from the regimes of truth and power – that is not even wrong. Yet conspiratorial knowledge is potent enough to be studied by researchers and recognized as a risk by experts and authorities. Therefore, in order to understand conspiracy theories, we need to think of truth beyond knowledge and power. That is impossible for any scientific discipline because it takes for granted that truth comes from knowledge and that truth is powerful enough to destroy the legitimacy of any authority that would dare to conceal or manipulate it. Since science is unable to make sense of conspiracy theories, it treats conspiracy theorists as individuals who fail to make sense, and it explains their persistent nonsense by some cognitive, behavioral, or social dysfunction. Fortunately, critical theory has developed tools able to conceive of truth beyond knowledge and power, and hence to make sense of conspiracy theories. This book organizes them into a toolbox which will enable students and researchers to analyze conspiracy theories as practices of the self geared at self-empowerment, a sort of political self-help.